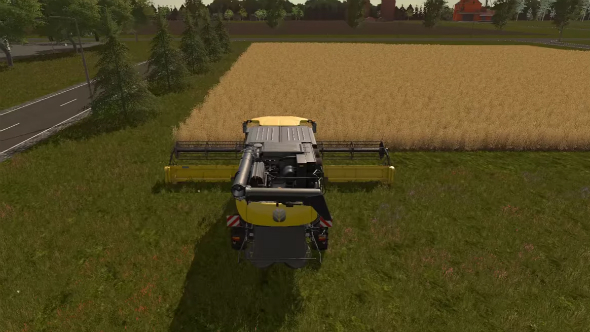 The agricultural industry must look at Farming Simulator 2017 mods with envy. Strapped for cash? Just magic some up. Wish your hay bales didn’t look so drab? Load them up with some more lively textures. How about some shiny new hardware? Just download it all straight to your farm for free. You might not be able conjure any of that up for your actual real farm, but thanks to the vast number of Farming Simulator 17 mods, you can improve your virtual homestead almost instantly. 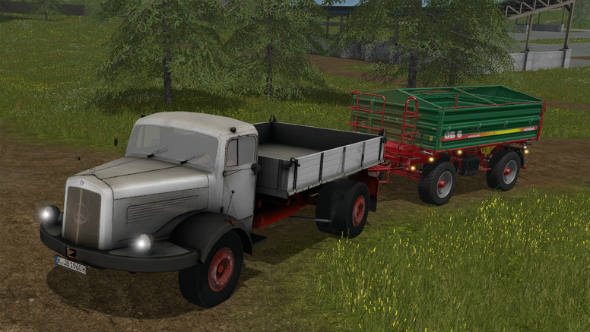 Knowing where to begin in the world of Farming Simulator mods can be tricky, what with the hundreds of fork and loader variations. 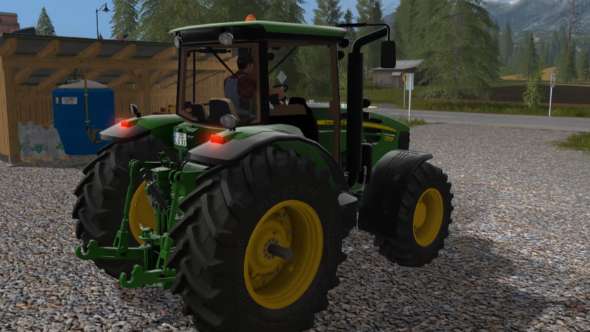 So we’ve collected some of the finest mods for Farming Simulator 2017 to help you up your agricultural game. For more immersive goodness, check out the best RPGs on PC. 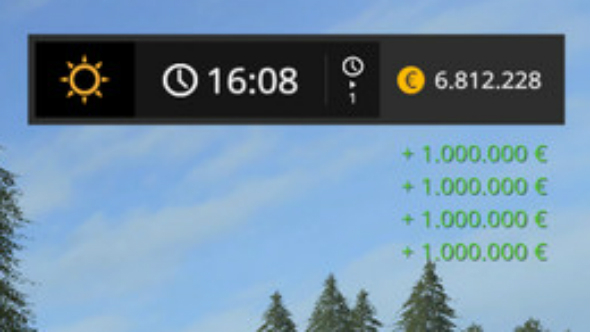 It’s not just new tractors you can add to Farming Simulator 17 either. 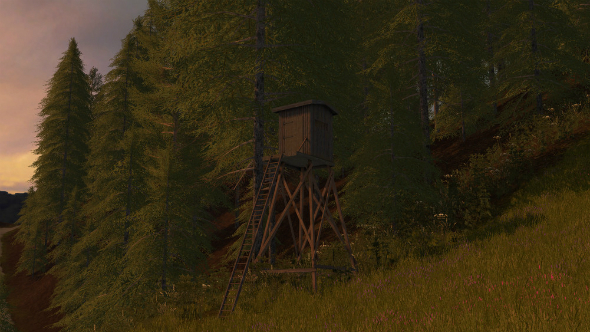 The modding community have added everything from sprawling maps and mammoth hardware to visual overhauls and new tools. 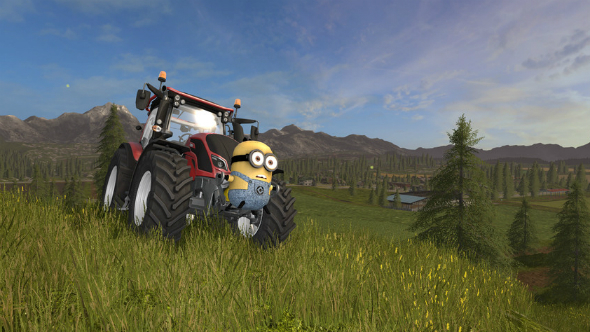 So, whether you’re new to Farming Simulator and need some helpful addons, or you’re a series veteran looking to spruce up their game: here are some of the best Farming Simulator 17 mods. Seeing your expensive agricultural machinery sink to the bed of a river or brook is one of the most tragic sights in the game. 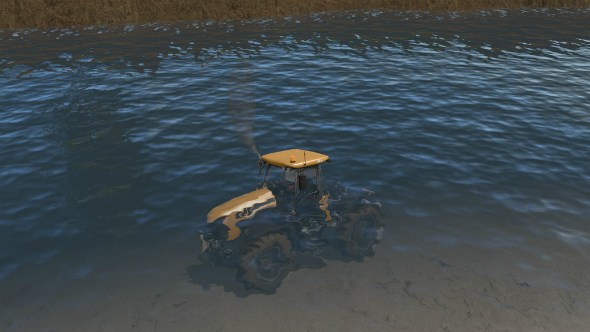 This handy Farming Simulator 2017 mod lets you drive your tractor or car straight through water and emerge intact the other side, not only saving your precious vehicle from certain death, but also opening up a number of shortcuts. Here’s an outlandishly niche setting for a game: 1970s southwest Cheshire, England. More specifically, the Broxton and Duckington area. What’s that? You’re unfamiliar with that particular two square miles of English countryside and how it looked nearly 50 years ago? 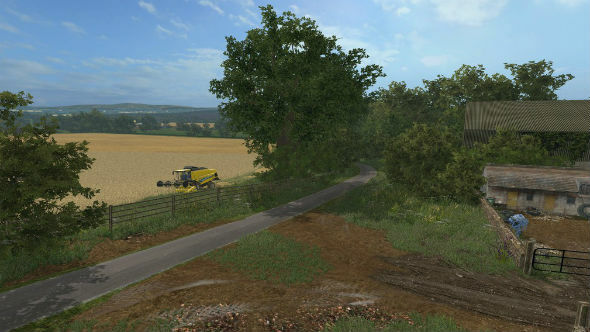 Well, this Farming Simulator 2017 map mod recreates that microscopic area for all posterity – it comes complete with roaming sheep, an array of sell points and so, so many fields. Maybe you’re a newcomer to the world of virtual agriculture and have no recollection of Giants Island, the beloved fictional island that was home to Farming Simulator 2009. Not to worry, because some bright spark thought to recreate the quaint island as a Farming Simulator 2017 mod. All the highlights are there: the roundabout with the cow statue, the wind turbines, the ferries and vitally, the crops. 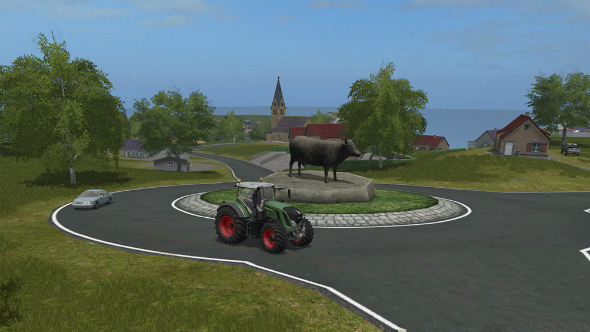 Take a trip down memory lane with this faithful Farming Simulator 2009 map. We’re not farmers here at PCGamesN, but we’ve been led to believe that John Deere make some top quality agricultural swag. This recreation of John Deere’s 7×30 range comes with three different engine options, full animations, openable doors and windows, and of course washable wheels. This map does a perfect job of distilling all of Canada into a single, manageable Farming Simulator 2017 map. If you’ve never been to Canada, it’s exactly like this: flat fields of maize and grass as far as the eye can see forever and ever. The maker of this map presumably added the animals, train track, dealerships, town and port to spice things up. Full washability is a deal-breaker to a large number of agriculture enthusiasts. That’s where this John Deere combine harvester mod comes in. Not only can you watch it go from sparkly clean to muddied and dusty as you harvest your produce, it also almost totally bug-free. 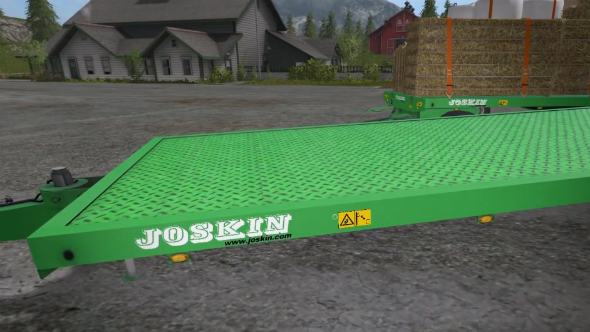 This Farming Simulator mod pack contains three Joskin-inspired WAGO trailers that should serve all your hay bale transport needs. We don’t actually know what WAGO stands for: Google pointed us at the Western Association of Gynecologic Oncologists – we’re sceptical. 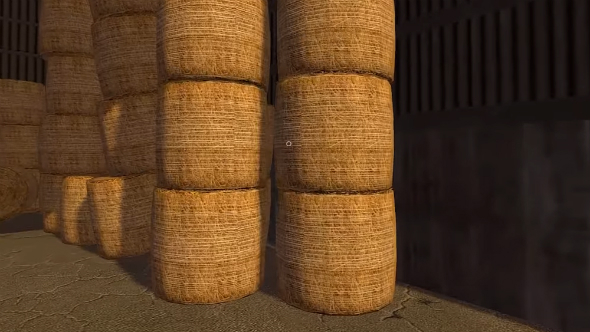 It’s all well and good being able to transport your hay bales with ease, but how do you overcome a problem like dull hay bale textures? 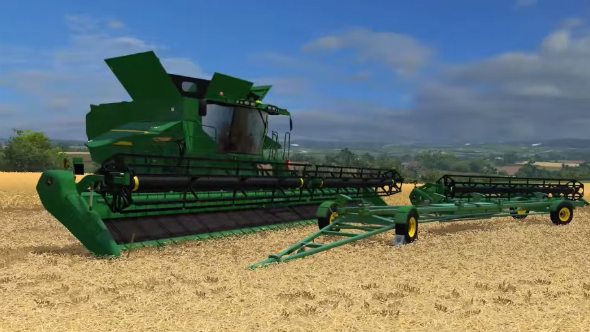 This Farming Simulator 2017 mod solves that one problem with no fuss added on top. 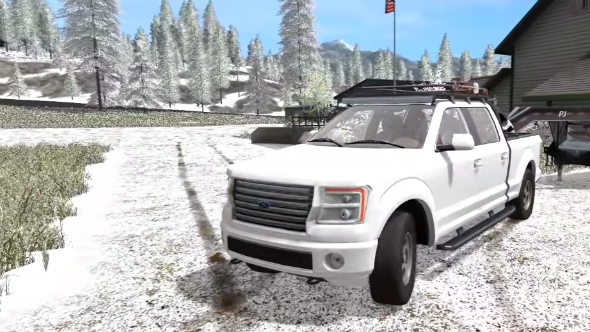 Let’s gloss over the fact that nobody does any serious farming in heavy snow and instead focus on how lovely this mod makes Farming Simulator 17 look. Mercifully, it won’t actually stop you from farming, although it does make it nearly impossible to see what you’re doing. They live to be killed, eaten and turned into upholstery, but good grief don’t they make an awful mess when they tuck into their food? 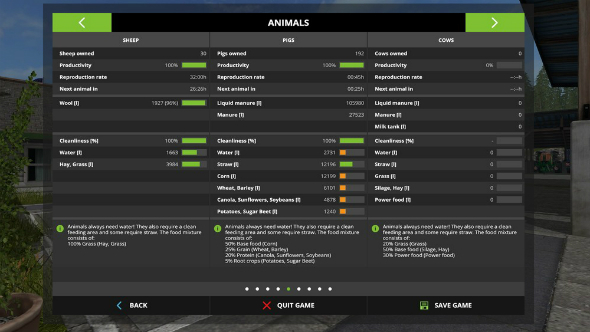 This neat Farming Simulator 2017 mod lets you tell your piggies, chickens and cows to get their elbows off the table, chew with their mouths shut and not lick their plates – basically, they just stop making a mess, which leaves you with one less chore to attend to. 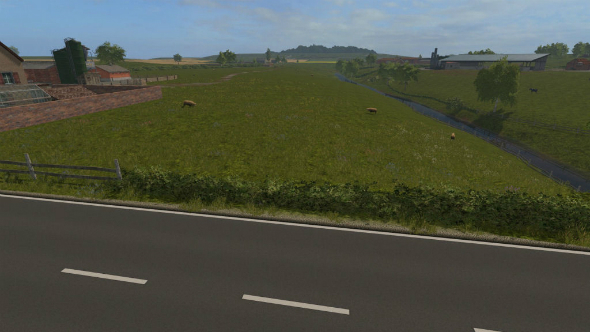 Nevermind the cryptic name, Chellington 17 V2 is a Farming Simulator 2017 map based around a typical English farm. As such it comes complete with livestock, a spinnery and sawmill buildings and plenty of foliage to boot. It’s gorgeous, there’s plenty to do and it’ll make you feel all warm and fuzzy inside like Emmerdale used to before all the drugs and murders started happening. 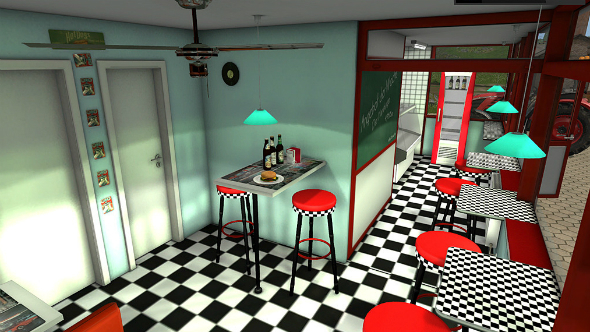 We can’t quite grasp the actual purpose of this Farming Simulator 17 mod beyond it just looking like a charming and realistic American-themed diner. If that’s everything that’s missing from your virtual homestead or rural town, then our job here is done. Need to weigh down the front of your tractor? This 1.2 tonne slab of Minion will do a fine job. This Mercedes Flatbed is and oldie but a goldie. It can carry grain, hay bales and palettes, it comes with a classic pre-war grey coat of paint and it’s dirt cheap. The ideal Farming Simulator 2017 mod for those of you with humble agricultural aims. 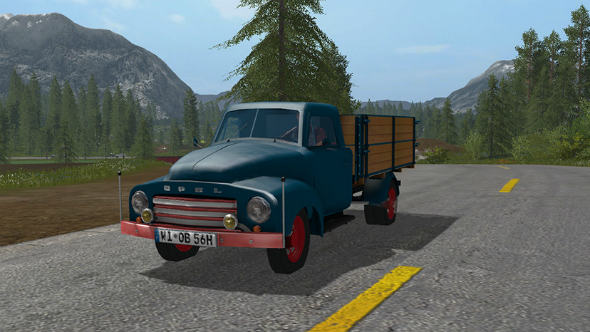 When people remember the golden years of the flatbed truck, 1956 won’t go amiss. Chevy, Ford and Dodge all released classic flatbeds, but none can match this beauty from Opel. It handles well around the farm and won’t cost you much, making it the perfect starter vehicle. Money can’t buy you happiness, but it can buy you the world’s best silo, a few combine harvesters and more cows than even industry veteran Ronald McDonald would know what to do with. This essential Farming Simulator 2017 mod lets you conjure up a cool million dollars by getting in a car and honking your horn. 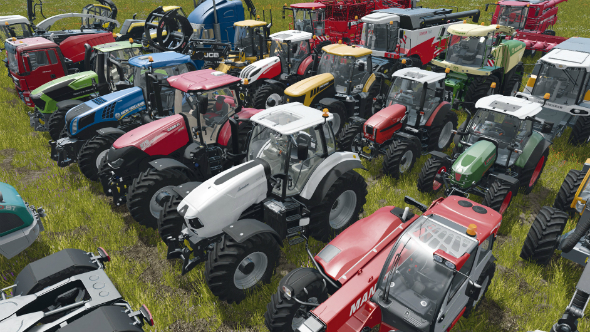 What mods would you like to see from the Farming Simulator community? Let us know in the comments below.